Machias Seal Island is located about 12 miles off the coast of Cutler. The waters near the island are referred to as the "gray zone" because both Canada and the U.S. claim the island. Canadian lobstermen fish in the region under Canadian regulations, and Maine lobstermen fish in the region under Maine laws and regulations. A Canadian fishing vessel working in the "gray zone" waters on Friday. 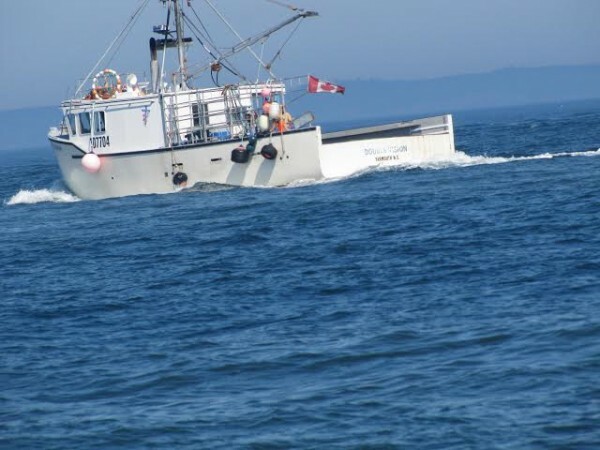 Maine fishermen report the numbers of Canadian boats setting lobster traps in the region around Machias Seal Island off Cutler has increased to about 40-50 this year compared to about 20 boats in past years. CUTLER, Maine — The disputed “gray zone” around Machias Seal Island has become a bone of contention again for Maine lobster fishermen who set traps in the region. Canadian fishermen also ply the disputed waters, and there are more of them this year, which does not sit well with Down East lobstermen. Maine officials also have received a few complaints about fishing in the area, although the chief of the Marine Patrol Bureau downplayed their significance. 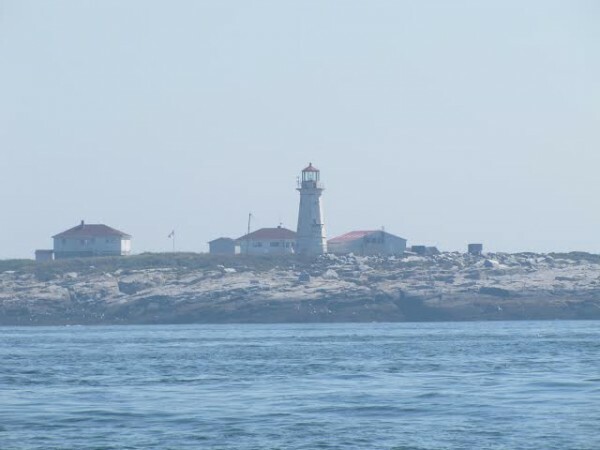 Canada operates a lighthouse on the island. However, both countries claim the island, said Col. Joe Fessenden, head of Maine’s Marine Patrol. Under a written agreement between the two countries, Canadian fisherman can work in the area under the laws and regulations of their country, and Maine fishermen can work under applicable state laws and regulations, Fessenden explained Thursday. Machias Seal Island, about 20 acres, is located about 12 miles off the coast of Cutler. The “gray zone” encompasses about 70 square miles around the island. Two fishermen who set traps in the region say there are more Canadians working the waters this year. About 20-25 boats from Cutler work in the area, he said, although others from Eastport to Jonesport also set traps in the gray zone — about 40 in all, he estimated. Fessenden downplayed any brouhaha caused by the Canadian fishermen. “We’ve been in contact with their enforcement people,” he said Wednesday, and have been assured that there has been no increase in the number of permits issued to allow Canadians to fish in the disputed waters. Canadian lobstermen have been using existing permits to fish in the region “because there’s lobsters there,” said Fessenden. “These Canadian fishermen have to comply with Canadian laws and rules in that zone,” said Fessenden. “They’re pretty strictly enforced,” he added, by Canadian authorities, who did not respond to a request for comment from the Bangor Daily News. The Marine Patrol has received a few complaints — “three or less,” said Fessenden — of lobster traps being stolen or molested (hauling traps that belong to another fisherman). The complaints were received in recent weeks and were reported by fishermen in Cutler and other nearby communities. Extra patrols were initiated in the region, and fishing boats were inspected, but authorities ascertained no violations. “Everything appears to be OK,” said Fessenden. Under Maine laws and regulations, fishermen return brood stock to the water if they are caught in traps, but Canadian laws and regulations allow their fishermen to keep those same lobsters, pointed out Drouin. “It’s kind of a bitter pill to swallow,” he said. Drouin also argued that Canadian fishermen are competing directly with those from Down East, suggesting the Canadian-caught lobsters make their way into U.S. markets. Unlike Maine, Canada has a set lobster season that goes from November to June. However, Canada allows fishing in the “gray zone” outside of the normal season. “It’s gravy for the Canadian fishermen,” said Drouin. “It’s only hurting Americans,” he added. Most of the Canadian boats are from Nova Scotia, said Davis. They stay about a week at a time and then go home, keeping their boats at Grand Manan Island, where they sell their catch. Fessenden referred to an incident in which a Canadian fishing boat struck a rock near Jonesport and had to be assisted by the Coast Guard last week. “A boat like that that’s gone beyond the gray zone … they’re not supposed to be there,” he said. “That’s why it’s being investigated,” he added, by Coast Guard and other federal authorities. There were reports the Canadian fisherman fell asleep.”That’s what the story is,” acknowledged Fessenden.